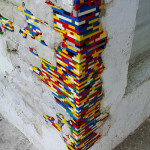 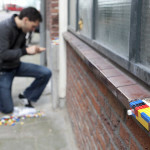 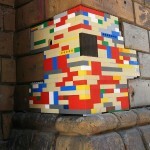 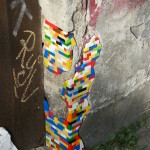 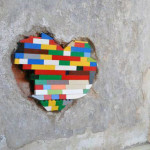 If you are a fan of Lego then you will know that it has a myriad of different uses. 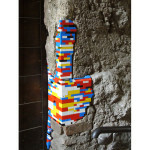 It can be used to impress your friends, amuse yourself or serve as a alternative to a live firearm. 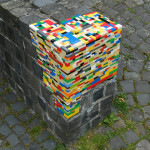 I may or may not have used portions of Lego to block a leaky nose. 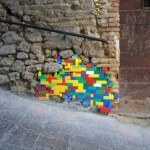 I experienced some moments of heightened creative flair but none similar to Jan Vormann, who travels the world repairing crumbling monuments with Lego. 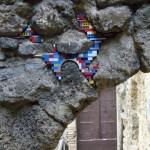 Jan Vormann has taken his project from its humble beginnings at an art fair in Rome and brightened up thousands of people’s days with his brightly coloured plastic version of Polyfilla.